I have to say that 2018 was a banner year for portraying the emotion and drama of teen life that truly had impact. On one hand, you have Eighth Grade that lets you look through the eyes of Kayla (Elsie Fisher) that shows us what modern-day teens have to deal with. On the other hand you have this film, in which Sunny Suljic gives an equally powerful performance and even though (as the title suggests) it takes place in the past, the lessons learned are just as important. Suljic plays Stevie, a 13-year-old being raised in the L.A. area by a young, single mother (Katherine Waterston) who looks up to his older brother, Ian (Lucas Hedges) who spends the majority of the film either ignoring him or beating him up. You get a real nice picture of this family life during Ian's short birthday scene - short, but very telling of the kind of life all three are dealing with. Stevie happens upon a group of kids (most older) at a local skate shop and, after teaching himself to become passable on his brother's old board, starts hanging out. The group consists of Ruben (Gio Galicia), who is just a little older and comes off as a bit of an arrogant jerk - taking Stevie under his wing, but really just bossing him around at first. Then you have Fourth Grade (Ryder McLaughlin) a bit of a slow learner who is constantly filming the group's tricks and escapades with dreams of becoming a director, Fuckshit (sorry for the language - but that is his given "name") who is good on the board and finding parties and finally, Ray (Na-kel Smith) the most level-headed and best skater of the bunch who really just wants a chance to escape. As Stevie integrates with this group, he begins to do what many teens do - rebel - both to his family and the authorities. From running from the cops to smoking weed to drinking and getting with a girl - he finds a release from his family life, even as it strains the relationship between him and his brother and his mother. The film, shot in 16mm, really captures that 90s feel. Growing up in the 90s myself (albeit in Nebraska - not California), the film really gets this era right. Jonah Hill might be better known as an actor, but for a debut film as a director, this is a knockout. Likewise, the performances from such a young group of actors is stellar across the board with emphasis on Suljic and Smith, who I anticipate to get some much-earned attention after these roles. What mid90s does so well are the more quiet scenes - two of the best are a conversation with a homeless man and a heart-to-heart between Stevie and Ray that breaks down each character we've scene in the film. Both open your eyes to a bigger picture about what these teens are dealing with and going through and though you can categorize them as a bunch of punks just looking to have fun - the truth is each carries a surprisingly heavy burden. 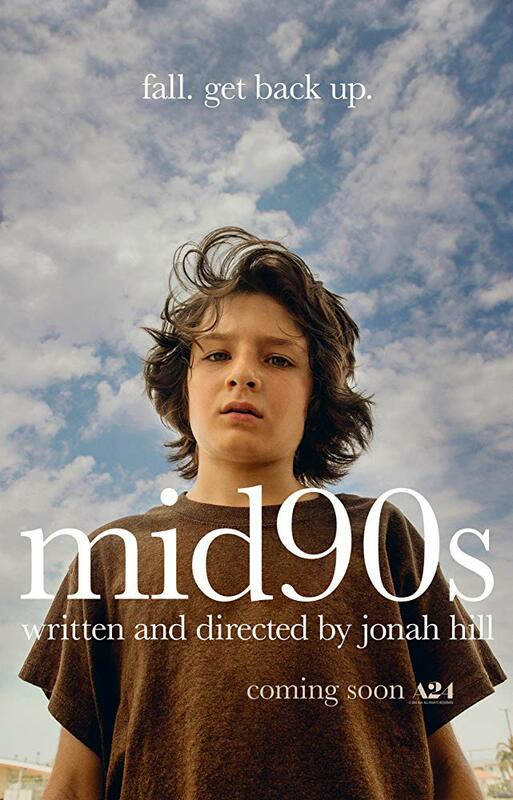 Mid90s serves as a perfect compliment to Eighth Grade and through each film deals with some adult subject matter, I really think parents would do themselves a service by watching them with their own teen children. Or watch it alone first and decide - because these films have something to say and that message is worth hearing loud and clear.